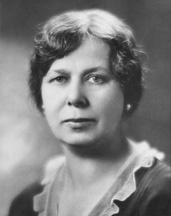 Gladys S. Pyle, in Women in Congress, 1917-2006. Prepared under the direction of the Committee on House Administration by the Office of History & Preservation, U.S. House of Representatives. Washington, D.C.: Government Printing Office, 2006. Kinyon, Jeannette, and Jean Walz. The Incredible Gladys Pyle. Vermillion, SD: Dakota Press, University of South Dakota, 1985. Pressler, Larry. Gladys Pyle. In U.S. Senators from the Prairie, pp. 112-13. Vermillion, SD: Dakota Press, 1982.